Technical note. Device to facilitate MR imaging of patients in skeletal traction. Department of Radiology, University of Michigan Hospitals, Ann Arbor 48109. You are going to email the following Technical note. 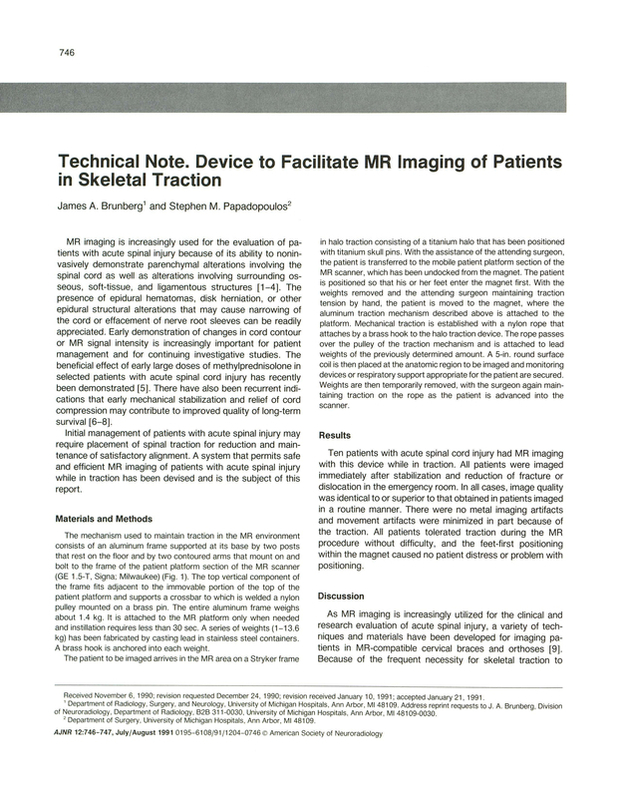 Device to facilitate MR imaging of patients in skeletal traction.